When it comes to gaining lean muscle mass, most people (especially teenagers who are just getting started) think that bodybuilding supplements are the most important part of the equation. However, this could not be any further from the truth. Supplements are just additions to an already good nutrition and training program. 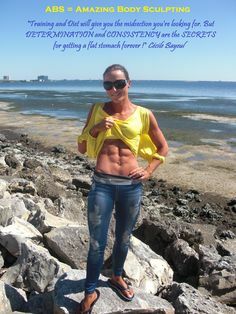 Besides determination, nutrition and training are the most important components of a bodybuilding program along with rest and recovery next to them. Once all of those aspects of your program are maximized, then you can start thinking of adding supplements to your program. Please understand that supplements do not make up for improper training, or lack thereof, or a low quality diet. Supplements are good because they prevent us from getting any nutritional deficiencies. The increased activity levels from your new exercise program will make your body have greater demands for vitamins and minerals, which will increase the probability of you suffering a deficiency without supplementation. Even a slight nutrient deficiency can sabotage muscle growth. Can’t we get all the nutrients we need from food alone? We cannot rely solely on food nowadays to provide us with all the vitamins and minerals that our body needs because the processing of foods before they get to the supermarket, cooking, air, and even light have already robbed your foods of most of the vitamins that they have to offer. If you are deficient in one or more nutrients your body may not be able to build muscle and burn fat properly. In addition, because as you will soon find out, bodybuilding nutrition requires several feedings per day, some supplements can make it more convenient for us to accomplish that. A good set of multiple vitamins and minerals to avoid any nutritional deficiencies. A good protein powder to take in between real meals so that it is easier and more convenient for you to increase your protein to the levels that you need. A good tub of high quality protein like Pro V60 will do the trick. 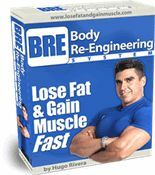 If you need to gain weight however because you are a hardgainer (a person with a fast metabolism who has issues gaining weight) then I would go for a high quality weight gainer that is low in sugars and that has a variety of fast released and slow released proteins like Lean Body Mass 60. 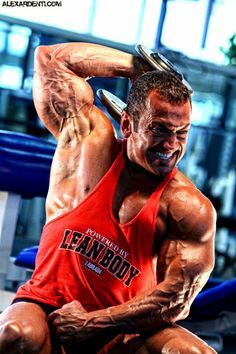 I would save the creatine, and other more advanced supplements, for later on in your bodybuilding journey, once you have achieved some pretty solid bodybuilding gains. Definitely, stay away from any testosterone boosting supplementation. 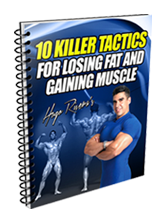 Right now (since you are a teenager) your body naturally produces a ton of anabolic steroids (testosterone and growth hormone mainly) that will greatly help you in your quest to build muscle rapidly while losing body fat. Anything that you do trying to further boost your testosterone production may do the exact opposite. Save testosterone boosters for when your body starts to slowly decline in testosterone production, which is around 25 years old. However, research shows that 3,000 mg of Vitamin C lower cortisol levels (a muscle wasting hormone that does the exact opposite of what testosterone does) so 1000mg of Vitamin C at Breakfast, Lunch and Dinner will actually help you in your quest to a more muscular body. 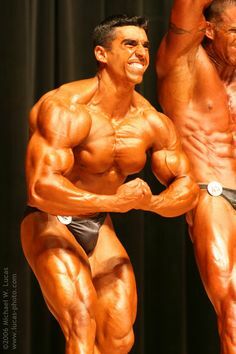 The supplementation program above, in conjunction with a good bodybuilding diet, a good training program based off from basic exercises, rest (yes, you need at least 8 hours of sleep each night) and the determination to execute your bodybuilding program day in and day out will take you to where you want to be. If budget allows instead of a 5-lb protein tub, you can opt for easier to carry and more convenient items like Protein Bars, Meal Replacement Powders or Ready-To-Drink Shakes. Labrada Nutrition offers several top-notch bars, meal replacement powders and ready-to-drink shakes in their Lean Body line. These not only offer great nutrition, but have a taste to match as well. However, convenience comes with an added cost so if budget is tight, simply carry the servings you will need of your protein powder individually sealed in a Ziploc ® bag in your cooler and mix them with water or milk when it is time to consume. You will need a shaker bottle for this but high quality proteins these days are instantized and therefore mix rather easily. He is right you shouldn't stop training in school season because it helps you focus on your homework and paying attention in class. last year i got a lot of good grades because i workt out 4 times a week. Hope you take hugo's advice.